HTC announced new Mobile HTC U Play which is part of their U series the younger brother of HTC U ultra. 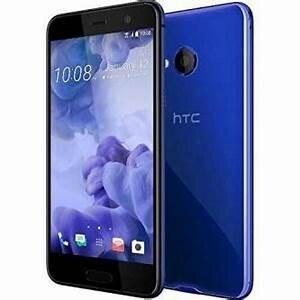 This mobile is powered by a lot of capacities like if we talk about weight and dimensions(L*W*H) is 145.99 x 72.9 x 3.5 – 7.99 mm and it is very low in weight 145 Grams (With Battery) A long list of specification in HTC U Play. it is a very pretty phone as it seems online or internet. This device is with 5.2 inches of screen with Super LCD capacitive touchscreen.. HTC’s U Play has 2500 mAh battery which seems not too powerful but it gives standby time is very good with good talk time and music play. HTC play is equipped with a 16-megapixel camera with 1080 x 1920 pixels resolution which gives a perfect result for your functions. Its operating system is Android OS v7.0 Nougat. HTC U Play supports Mediatek MT6755 Helio P10 chipset where octa-core processor. It could be compared with other leading brands.